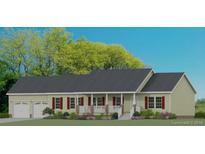 Find Bessemer City, NC New Homes for sale. View Photos, Maps and MLS Data Now! Home Is Shown In Photo With Garage Which Can Be Purchased At A Additional Price MLS#3458748. N C Land and Lots. Since home is pre-construction, some plans and colors may be tailored to your preferences. MLS#3457141. N C Land and Lots. Subject to HOA and CC&R's. MLS#3389578. Wade Jurney Homes. Subject to HOA and CC&R's. MLS#3389569. Wade Jurney Homes. No negotiation necessary. Lowest price guaranteed. MLS#3389551. Wade Jurney Homes. No negotiation necessary. Lowest price guaranteed. MLS#3389547. Wade Jurney Homes. Subject to HOA and CC&R's. MLS#3389544. Wade Jurney Homes. Subject to HOA and CC&R's. MLS#3389529. Wade Jurney Homes. No negotiation necessary. Lowest price guaranteed. MLS#3389513. Wade Jurney Homes. Subject to HOA and CC&R's. MLS#3389525. Wade Jurney Homes. No negotiation necessary. Lowest price guaranteed. MLS#3389517. Wade Jurney Homes. No negotiation necessary. Lowest price guaranteed. MLS#3389515. Wade Jurney Homes. Subject to HOA and CC&R's. MLS#3389502. Wade Jurney Homes. No negotiation necessary. Lowest price guaranteed. MLS#3389493. Wade Jurney Homes. Subject to HOA and CC&R's. MLS#3389486. Wade Jurney Homes. Subject to HOA and CC&R's. MLS#3389492. Wade Jurney Homes.